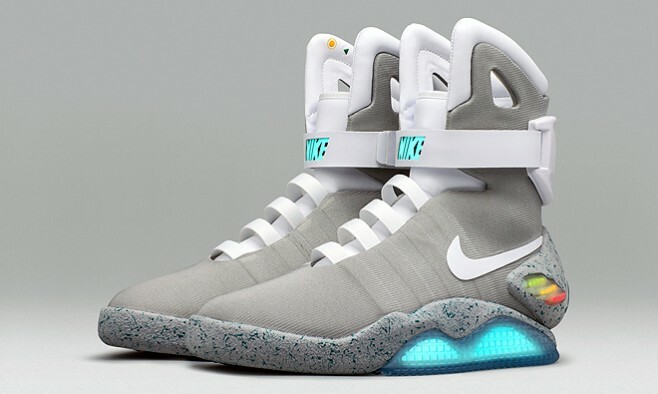 Nike has raised US$6.75 million for the Michael J Fox Foundation (MJFF) after auctioning 88 pairs of the self-lacing ‘Mag’ trainers – as worn by Fox in the classic 1989 film ‘Back to the Future II’. Trainer aficionados worldwide were invited to take part in an online draw for the chance to win a pair. They made donations of $10 per entry to the Foundation, which promised that all proceeds “will go straight to speeding a cure for Parkinson’s disease”. Thanks to an anonymous donor, donations in the last 12 hours of the draw were doubled and matched dollar for dollar. The winners of the limited-edition sneakers were announced on October 17. The 89th pair of Nike Mags will be auctioned to the highest bidder at the Foundation’s benefit gala on November 12 in New York City. A similar event took place in 2011, when Nike held a 10-day eBay auction of 1,500 pairs of Nike Mag sneakers. In total, the company has now raised more than $16 million for the Foundation.